Drawn by the rugged beauty that typifies the Canadian spirit, I am compelled to produce things of value, meaning and permanence. Stephen C. Gaebel (b. 1960) was born and raised in Bancroft, Ontario, a village nestled in the hills of the Canadian Shield in the Algonquin Park region. His family history in this area dates back to the original pioneer settlement of the 1800’s. 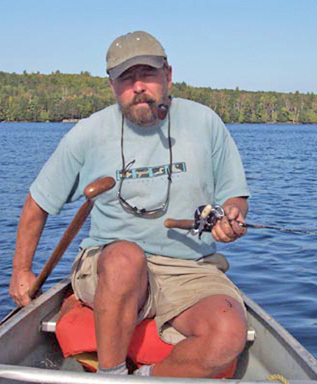 His earliest memories are of the lakes and forests, out with his father, an avid outdoorsman and trout fisherman. Renowned for its rugged beauty, this was a special place in the hearts of a number of the early Canadian artists, particularly Tom Thomson, A.J. Casson, and David Milne, whose vision and influence are evident in Stephen’s work. After graduating from high school, Stephen set out with a backpack and in the course of a year and 10,000 miles, traveled throughout Canada, the United States and Mexico. He returned to Ontario in 1980 and studied Fine Art at the University of Guelph. In 2007, Stephen began painting in earnest. His work is characterized by a powerful empathy for the people and the places he portrays and a natural gift to see beyond and touch the essence of their being. 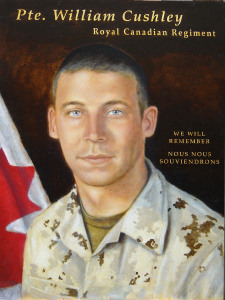 He is widely recognized within Canada for the Fallen Canadian Soldier Project, a series of portraits of Canadian soldiers who have fallen in Afghanistan.